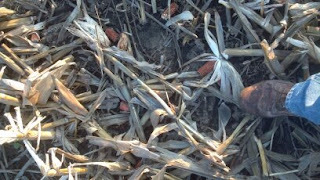 Acorns for Thought: Why Tillage and a Plow? 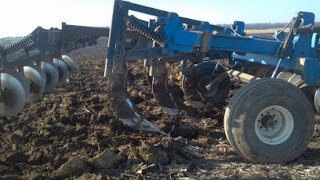 Why Tillage and a Plow? 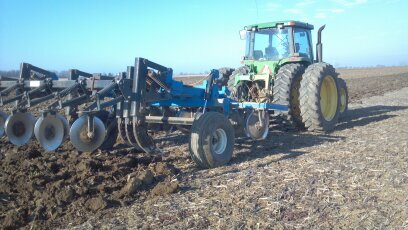 It has been a long time since I plowed a field. 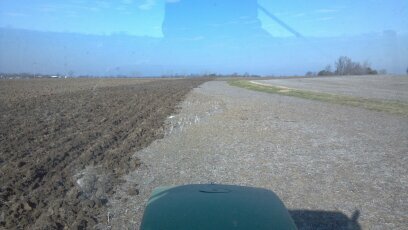 Plowing gave way to conservation tillage then no-til in my life time. Watching the Ken Burns/PBS documentary entitled "The Dust Bowl" has gottten me thinking alot about soil, tillage, and government. 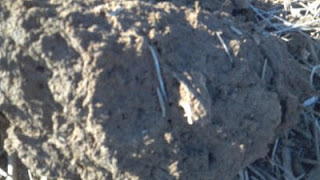 This blog post looks at the tillage part mostly. I recently plowed a field with what I call a chisel plow. the tool is designed to lift and shatter the soil more than turn it over in a effort to cover weeds and stalks. Vertical tillage is helpful because it minimizes the amout of "smearing" that occurs when steel is drug through a clay based soil. 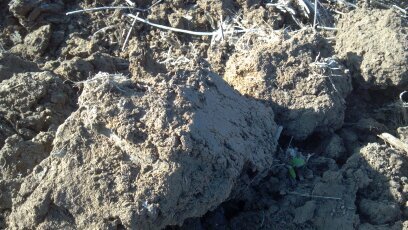 This smear stops the movement of air and water through the soil and in turn hurts the bioligic life that is important to the health of the soil. Think of what clay looks like on a potters wheel. The smear seals off the poors of the soil. That is not what I want to do. 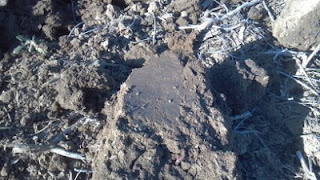 What I want is a soil profile that is porous enough to allow air and moisture to move. Air and moisture promote the life of a soil, earth worms, bacteria, and all sorts of other things, not the least of which is root development. Roots are amazing things. You may have seen a tree growing on what looks like solid rock, just imaging what it can do in a porous soil. 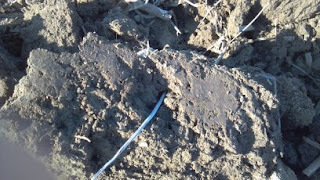 Another disadvantage of the plow is the lose of "trash", old dead plant material on the surface of the field that protects the soil from erosion caused by wind, rain, and snow. This trash is a bank account full of nutrients for the coming years' crops. Plowing disturbs that flow of material back to the soil. A rain drop falls from the sky with alot more force than you might think. Something like 26,000 gallons equals a 1" rain on an acre. Think what that much wieght falling from way up in the sky does to the soil when it hits. Trash protects the soil from that impact just like an umbrella protects your head and turns the rain into a gentle water drip. 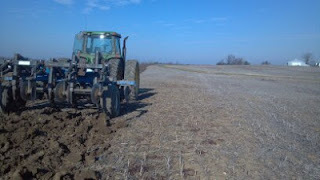 So why did I plow this field? 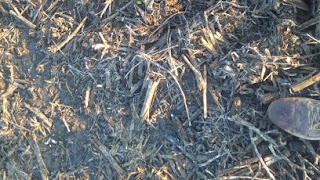 Plowing destroys weeds, loosens the soil, and levels the surface. In my case I wanted to loosen and level. Weeds just aren't a reason to plow any more since modern herbicides can stop weed growth without the disadvantages of the plow. The photos don't show it well but this field had numerous channels left from where subsurface drainage tile had been installed two crops before. These channels were changing how water flowed across the surface during heavy rains, preventing it from reaching the grass waterway designed to handle those rain events, and restricted the ability of machinery to move easily across the field. Tillage became the option of last resort. I hope this blog helps you understand just a little more about why I do what I do out on the farm.